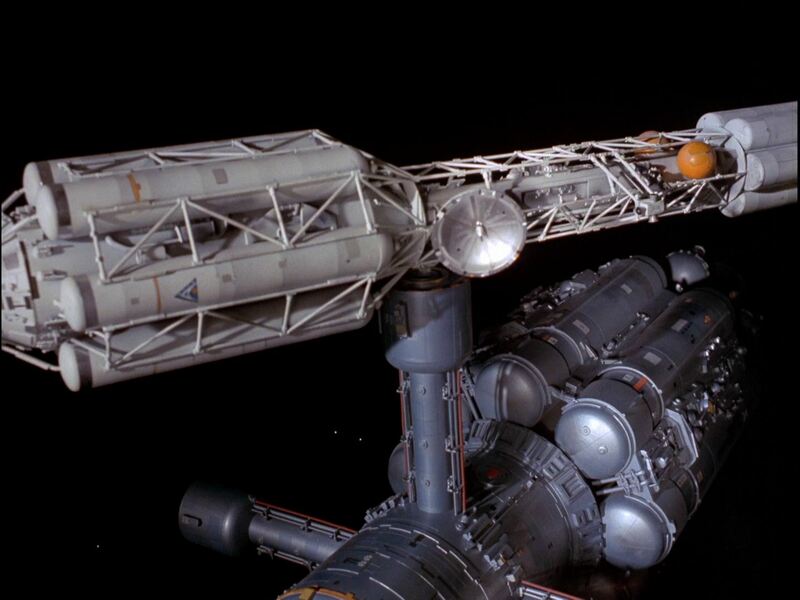 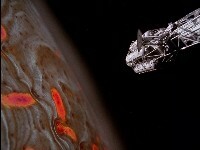 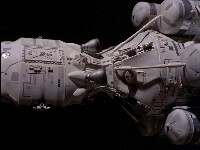 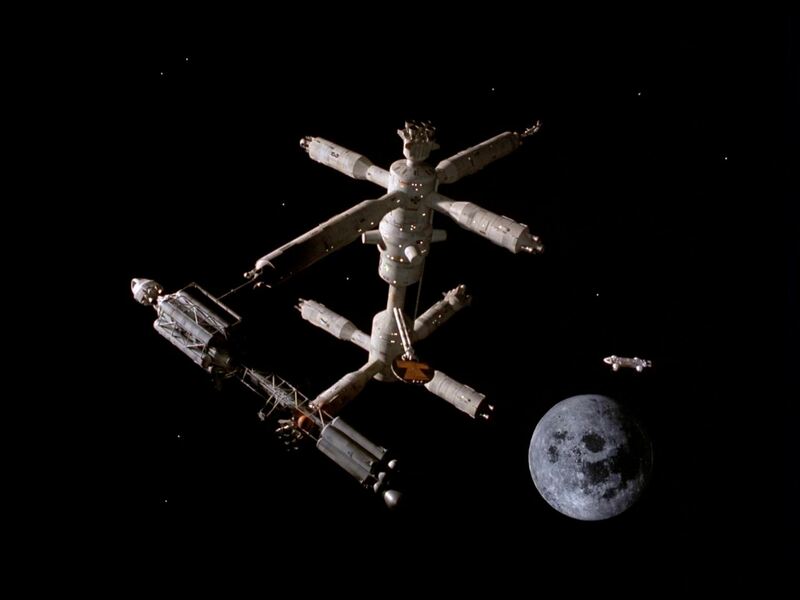 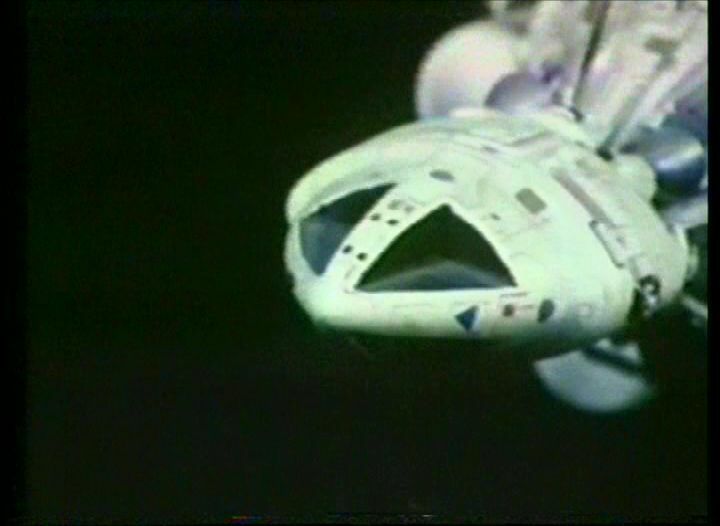 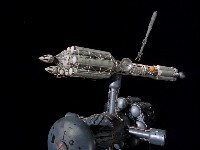 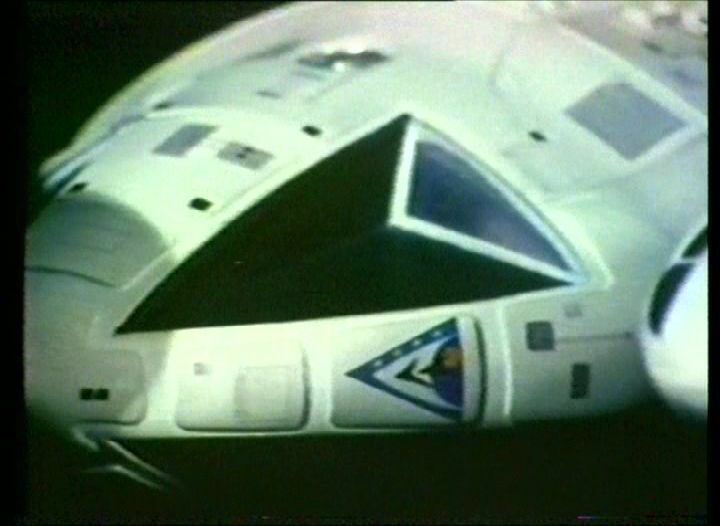 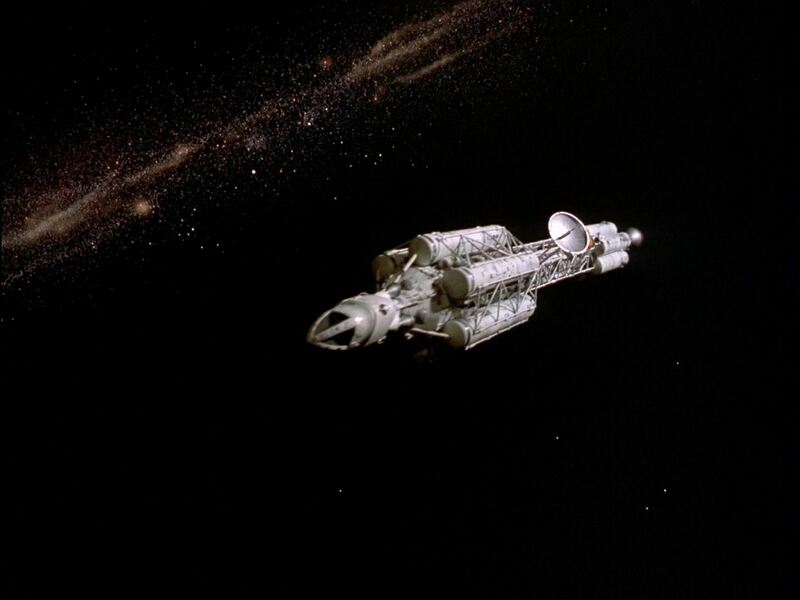 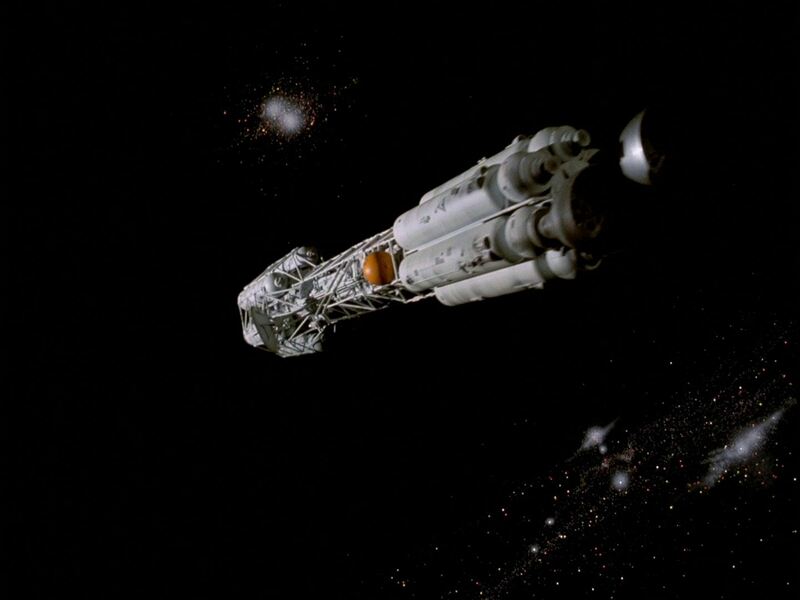 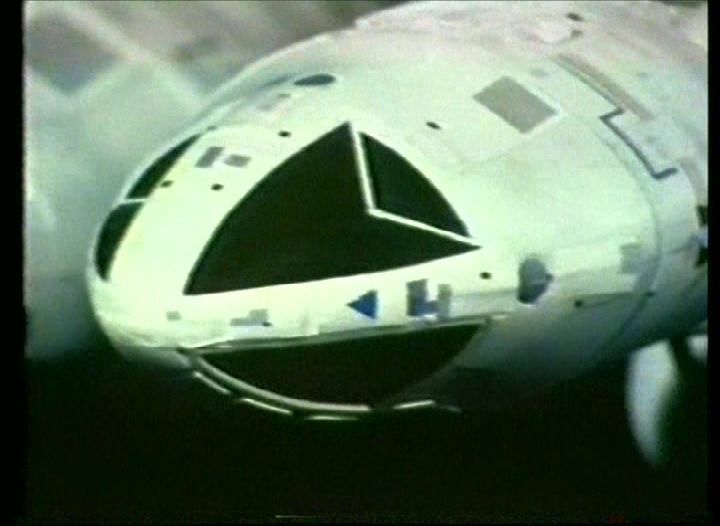 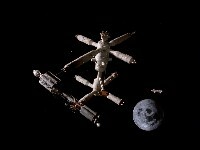 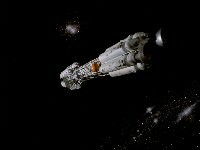 In Dragon's Domain we saw the Ultra Probe, an Earth ship from 1996. 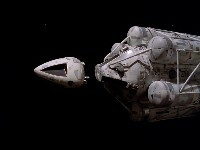 It docked to an alien spaceship and released a deadly enemy. 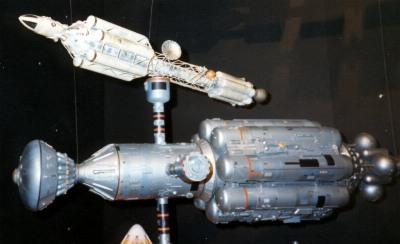 Martin Bower in Sci Fi and Fantasy Models 12: The Ultra Probe models were highly detailed and employed EMA tubing and piping for virtually their entire basic shapes. The girder work on the Eagles was done in brass for shear strength, but the design of the Ultra Probe meant I could get away with plastic piping for its girder work. 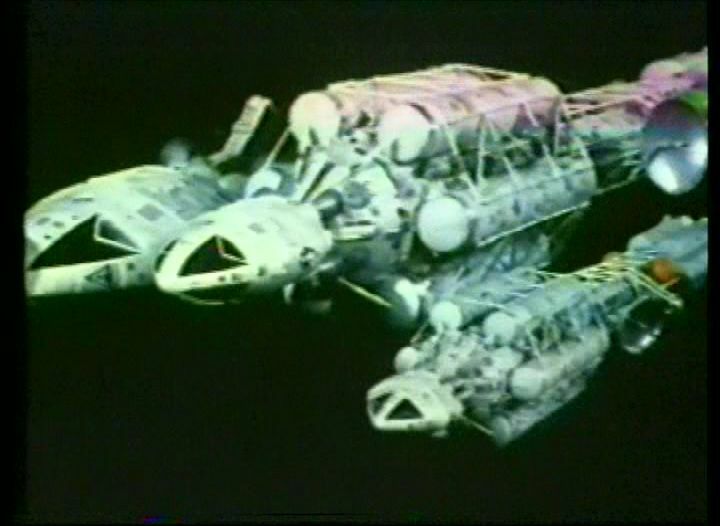 The jet exhausts were turned on a lathe in aluminium just as the Eagle's jets were.